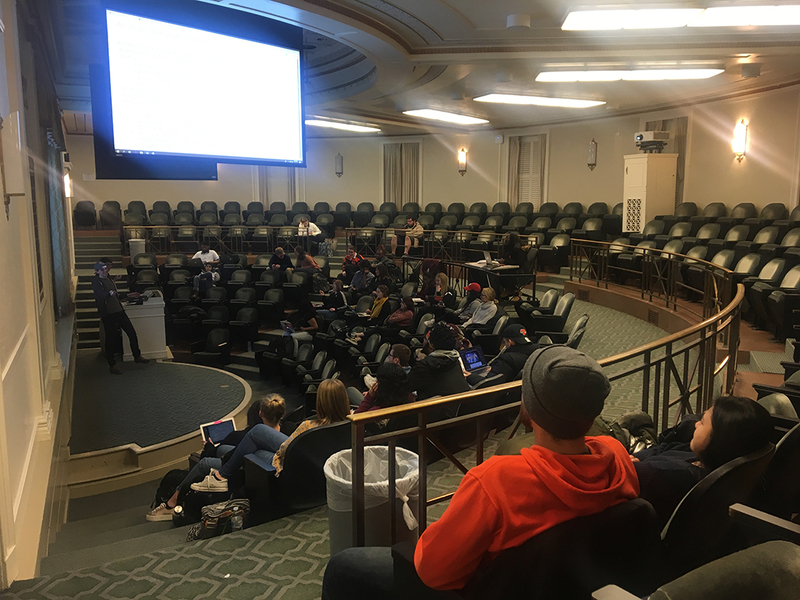 Student Association members addressed concerns about the suspension of a candidate for comptroller during last week’s election at Monday’s meeting. Comptroller candidate Eduardo Gomez’s campaign was suspended Thursday night, about 20 minutes before SA’s online election poll closed at midnight. SA announced Gomez’s suspension on their Instagram account, then deleted the post shortly after. Stacy Omosa, the other comptroller candidate, won by 99 votes. Several people wrote comments on the SA Instagram account’s posts Thursday night, saying that the election was rigged against Gomez. Many of the comments specifically attacked Torre Payton-Jackson, co-chair of SA’s Public Relations Committee, who posted the announcement of Gomez’s suspension on SA’s Instagram account. Payton-Jackson said people also made comments and posts attacking other candidates. Mackenzie Mertikas and Sameeha Saied won the election for SA president and vice president, respectively. SA’s public relations board was not informed of Gomez’s disqualification until around the time Payton-Jackson posted the statement — about 20 minutes before midnight, she said. Payton-Jackson took the statement off of SA’s Instagram when she found out Omosa had won by 99 votes, she said. Sophia Faram, SA’s elections and membership chair, emailed SA members around 11:40 p.m. on Thursday to inform them that an individual connected with Gomez’s campaign slandered an opponent to gain an unfair advantage. Gomez and Omosa were the only candidates on the ballot.